It would be best of breed if it had a battery and embedded GPS info into the video. 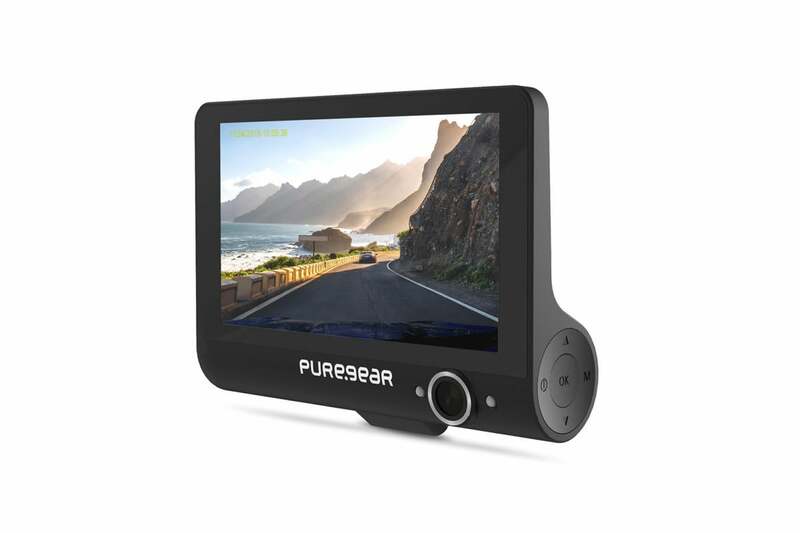 PureGear’s PureCam follows in the footsteps of the Owl, the dash cam with 24/7 video surveillance of your vehicle and immediate cloud uploads for safekeeping of important incidents is a reality. 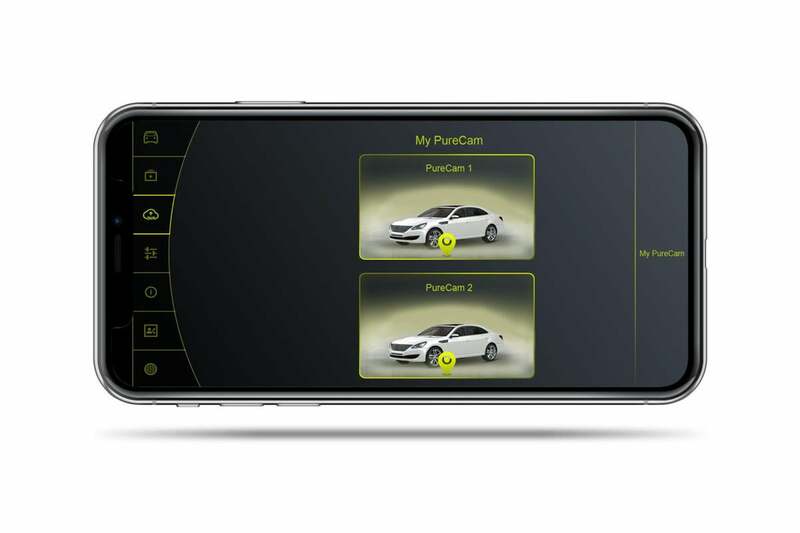 PureCam takes the best of the Owl (mostly) and adds some distinctly handy features, including the ability to use your own cell service (or a separate account via AT&T or T-Mobile), and a ridiculously slick interface and app. Even better, pricing starts at only $199. Alas, two oversights could limit the PureCam’s usability as a lawsuit prevention tool: no fail-safe power and no embedded or watermarked GPS data. The latter is a real head-scratcher, as there is GPS on board. 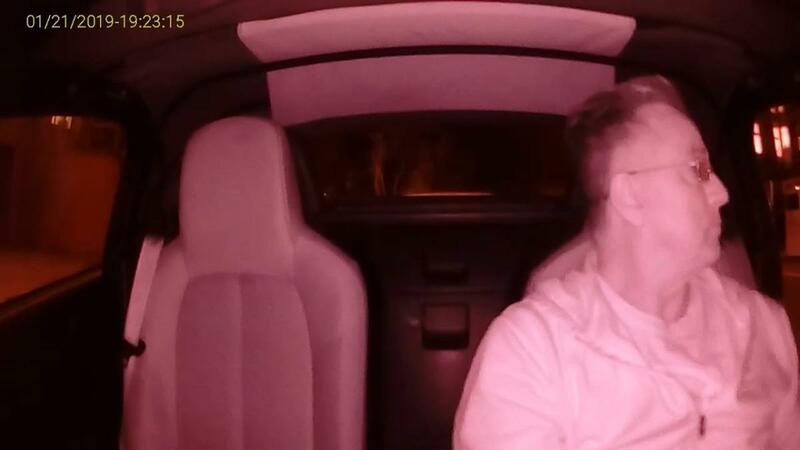 This review is part of our ongoing roundup of the best dash cams. Go there for information about competing products and how we tested them. The Owl and the PureCam are similar in that they both take forward and interior video. 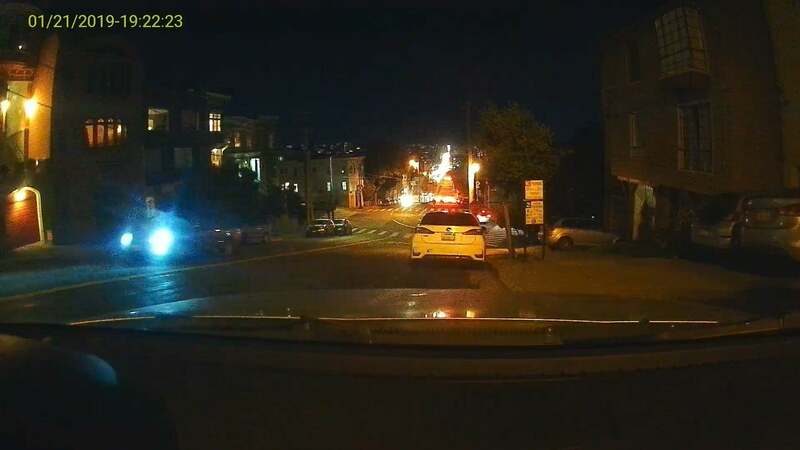 However, the PureCam lacks the Owl’s “startle the intruder” LED light feature for the interior cam, relying solely on infrared to capture events without trying to deter the intruder. Startle or hope to avoid detection? A tricky issue. Another difference is that the Owl uses a built-in 4G account that the company provides and maintains, while the PureCam provides a SIM card slot so you may utilize your existing wireless account. PureGear also sells the camera with a SIM card pre-installed if you’d rather keep it separate from your regular cell service. Currently, AT&T and T-Mobile are supported, with Cricket in the works. Personally, I like the PureCam’s flexible approach, but I’m sure others will prefer the Owl’s all-in-one package. I’ll get to a couple of other differences in a bit. 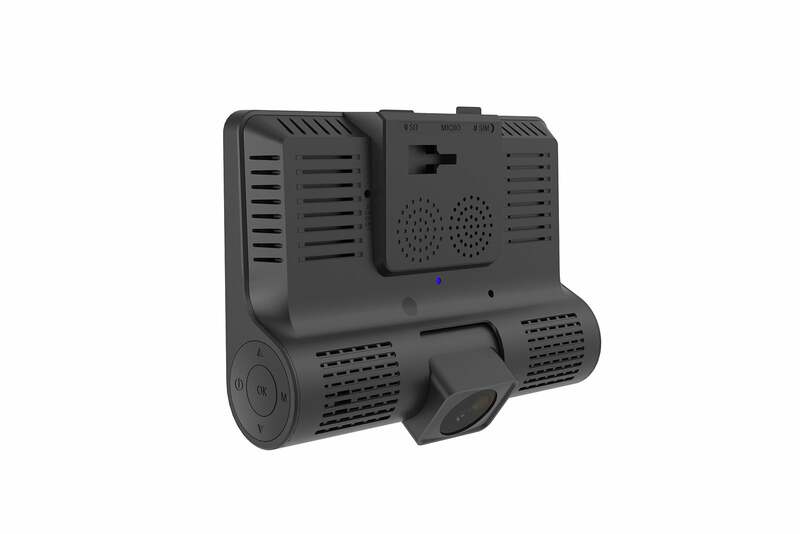 The PureCam is on the large side for a dash cam: 4.25 inches wide by 3 inches tall. This makes it nearly impossible to hide behind the mirror or avoid detection by thieves, but it also allows for a very nice 4-inch, 800x400 display. The 1080p front camera rotates vertically to change the capture horizon, while the 720p interior-facing camera is fixed and surrounded by two infrared lights to help with night captures. On the lower right side of the dash cam is a large round snapshot button, with a four-way (power/up/down/menu) rocker button surrounding it. It takes a bit of getting used to, but works decently well overall. I noticed it was a bit difficult to press the rocker button without disturbing the orientation of the camera, but that’s a rare and minor complaint. The back of the PureCam’s forward-facing 1080p camera. Though the snapshot button is easy to access, the other controls on the rocker are less so. Then again, you’ll rarely need to use them. On top of the camera are the micro-USB connector for the power cable, the SIM card slot, and the SDHC memory card. Unlike the Owl, the PureCam uses a removable memory card, and as mentioned, also lets you use your own SIM card. The PureCam steals a trick from the Owl by using your car’s OBD connector as a constant 12-volt power source, rather than the auxiliary/cigarette lighter that is live only when the car is running. Bonus: If your OBD connector is hidden under the dash near the driver’s side door, you’ll also have an easier time hiding the cable. Expect a lot more dash cams to offer power via OBD in the near future. Mounting is via a standard ball-joint suction cup that attaches to the top of the cam. I quite liked the Owl’s unusual mount, which fits in the seam between the dash and the windshield, but the PureCam’s approach allows you to mount it higher and capture a bit more of the area directly in front of your bumper. Alas, as I mentioned, the large size of the PureCam means it will likely obstruct a bit more of your view. This contrived image of the PureCam’s display quality isn’t that far off from reality. It’s a top-notch screen, and large. As much as I like the PureCam, PureGear missed a couple of important features that could compromise it’s usefulness for legal purposes. First, it lacks a battery backup or super-capacitor, either of which would allow the camera to capture at least some video if the 12-volt fails. Electrical failure is a rare occurrence, but it could happen because of a bad auto accident, or a smart thief. This means you may not capture all of an incident, or the data may never make it to the cloud. Hopefully, said thieves won’t catch onto the OBD-power trick anytime soon. Then there’s the GPS. The PureCam features it, but it’s used only for the locate-your-vehicle feature. Don’t get me wrong, that’s a very handy perk, but the GPS coordinates aren’t watermarked or embedded into the video. GPS may or may not be necessary in a legal situation, but it sure as heck will help if details such as license plates or the surroundings are obscured. It’s super-handy for travelogues too. I’ve located that interesting object whose exact location I forgot more than once. The GPS issue could easily be fixed in a firmware update. The lack of a super-capacitor or battery can only be fixed with a hardware revision. Though it took me a short time to adjust to the buttons (as much as I ever did—it’s easier on the phone), the PureCam’s on-screen and phone interfaces proved absolute joys. Based on Android, they’re unique (to my knowledge) in the dash cam world in being attractive. Attractive doesn’t affect the usability, but it’s the only dash cam interface that won’t look terminally ungainly next to your Apple CarPlay or the like. If I have any complaint, it’s that I’d like the icons to be just a little larger. The PureCam's iOS/Android app sports the same super-attractive, super-clean and efficient interface found on the camera. Other dash cam vendors should take note. The phone app (Android/iOS ) is used for registering your account and linking with the phone. You’re walked through the easy process. From there’s it’s auto-magical. Both the camera and phone interfaces give you access to all the PureCam’s settings and features: g-sensor sensitivity, camera resolution and more. There are no bad driver aids, but I don’t miss them. For the umpteenth time, take lessons if you feel you need such things. As I mentioned up top, the PureCam starts at $199.99 with a 16GB SD card and no data bundle (that’s what we tested). PureGear also sells it for $249.99 with a 3-month/6GB per month data plan, and for $279.99 with a 3-month/unlimited data plan. If you’re just using the cam to record incidents, the $249 plan is fine. Video runs about 80MB per minute at 1080p, and if you get the sensitivity setting right, you shouldn’t have excessive uploads (check that right away after you install the PureCam). If you’re planning on using the PureCam as a Wi-Fi hotspot (it supports up to three devices), perhaps choose the unlimited plan. PureGear bundles a 16GB SD card with our review unit, but I’d opt for something larger if possible. PureGear informed me that cards larger than 32GB may be used, but must be pre-formatted to FAT32 using another device. Note that while I did not have a SIM card to test it, PureGear claims that the PureCam will automatically configure itself for whatever AT&T/T-Mobile SIM you insert. Nice. All would be for naught if the PureCam didn’t take good video, and I’m most glad to report that it does. Day, night driving, and low-light (without headlights) captures all deliver the detail you need at a high quality. It’s not the absolute best I’ve seen, but it’s certainly upper-tier. This is a gray day in San Francisco, but at the default settings you can still make out details. Color saturation is better than the dour weather would have you believe. As you can see above, the colors are nicely saturated during day captures, and there’s a good amount of detail. Image stability is very good, in part thanks to the flexibility of the mount. Night captures are a grainy, but details are discernible and that’s the main point. Detail in surrounding areas increases as you lighten the image. Night video shows a lot of detail, though you can see some fine graininess and flickering when it’s in motion. Detail in dark areas picks up when you lighten the image, so the camera in surveillance mode should do a good job of capturing faces. Interior 720p night captures reveal a lot more detail than I’m comfortable with at this stage of my life. The tint is due to the infrared emitters flanking the camera. Interior night captures aren’t all that attractive because of the infrared in use, but they do reveal a lot of detail—which is far more important. Without infrared and the interior lighting off, no camera will be of much use. The PureCam is rated for operation from -4° to 149 °F, which should handle just about anything other than Arctic excursions. To be honest, most electronics love the cold (batteries excluded), so I’m not sure why the bottom end is relatively high. PureGear came darn close to nailing it with this dash cam. It captures very good video, has a constant power source, and is extremely pleasant to set up and use. I also prefer its removable memory and SIM cards to the Owl’s internal, user-inaccessible equivalents. For many users, the PureCam will fit the bill. About 99 percent of the time, you won’t need a battery or super-capacitor, or GPS info, but Murphy’s Law loves that 1 percent. The Owl both embeds GPS data and has a super-capacitor that will power the camera for long enough to finish and upload an incident video. That makes it better suited for legal purposes. We’ll be back with an amended review if and when PureGear updates things. This story, "PureCam dash cam review: A clever product that's just a battery and GPS short of perfect" was originally published by PCWorld. PureGear nailed everything about the PureCam. It takes great video, uploads it to the cloud when an incident occurs, and is generally a joy to use. 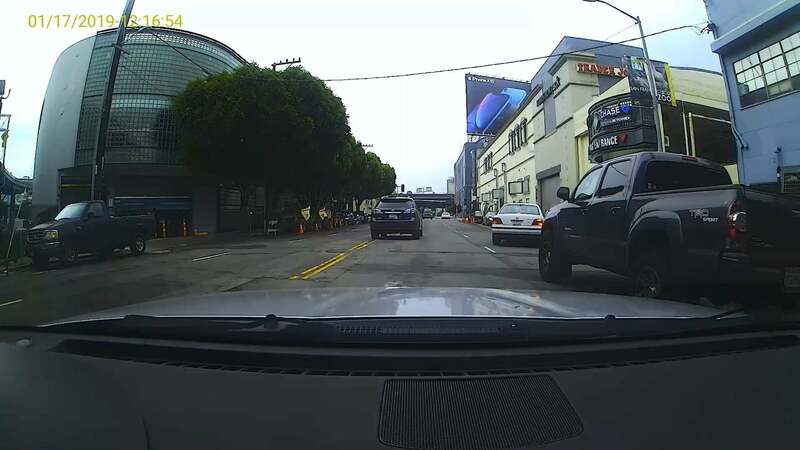 But dash cams are for legal protection, and in that regard, it falls just a tad short of fail-safe because of its lack of power backup or GPS marking on video.